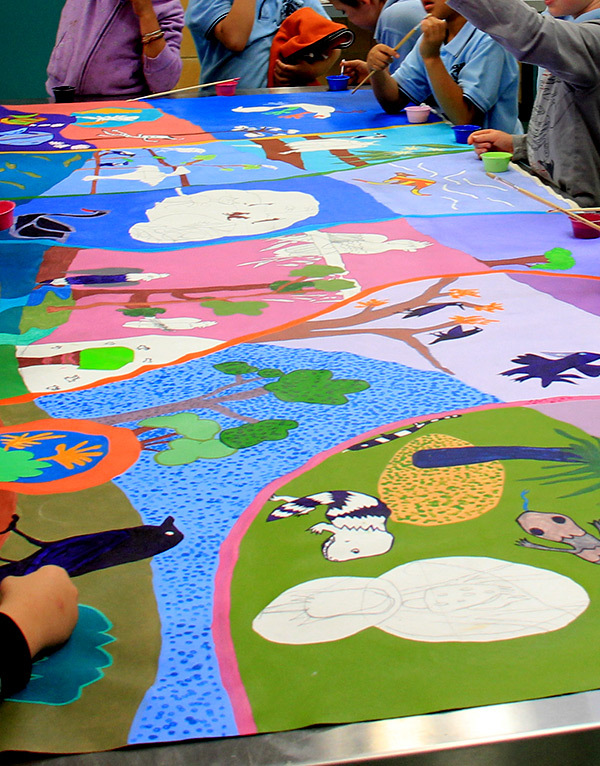 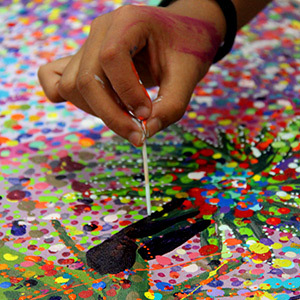 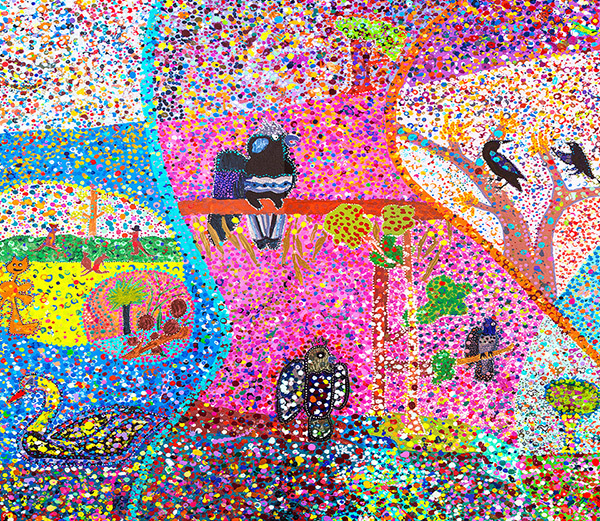 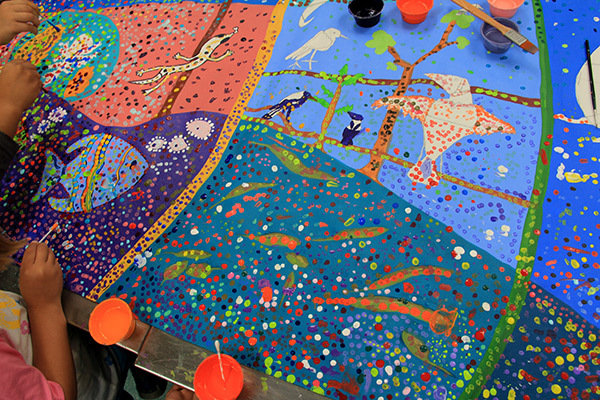 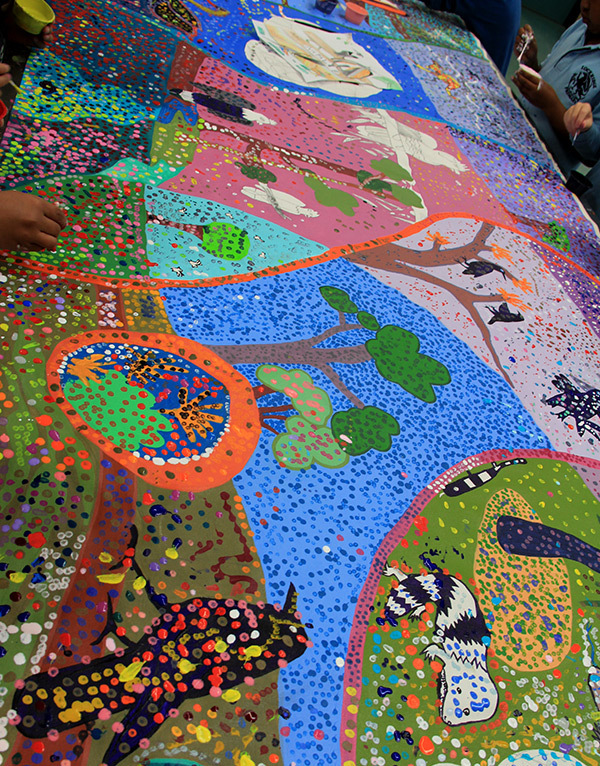 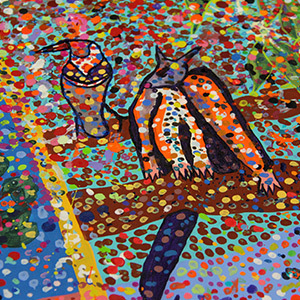 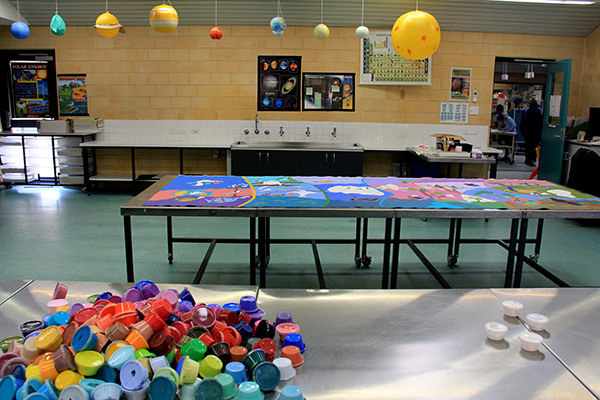 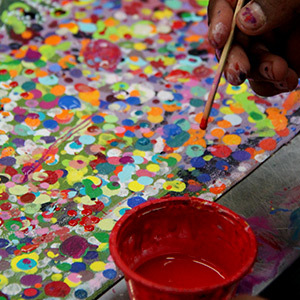 While artist-in-residence at Lockridge Primary School, Deborah Bonar created a 1 x 3 metre community canvas with the students and staff, during their NAIDOC Celebrations in September 2013. 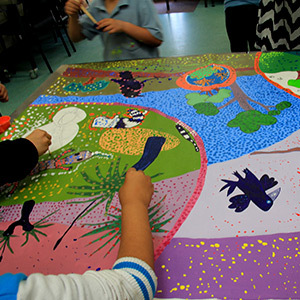 The artwork was designed by the children and staff of Lockridge Primary to reflect the six Nyoongar Seasons: Birak, Bunura, Djeran, Makuru, Djilba and Kambarang. 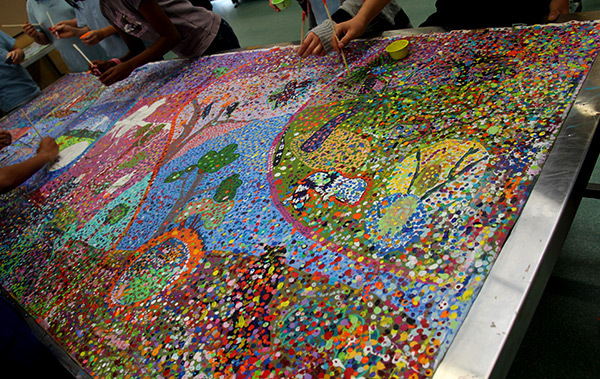 The Lockridge Primary School completed community canvas painting.